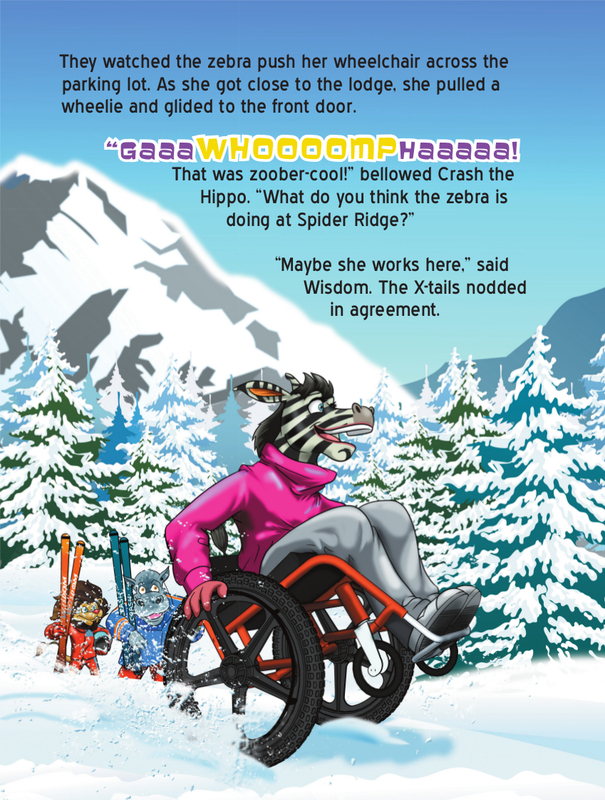 The X-tails learn that Rhumba doesn’t have a disability—she has different abilities. Yikes! 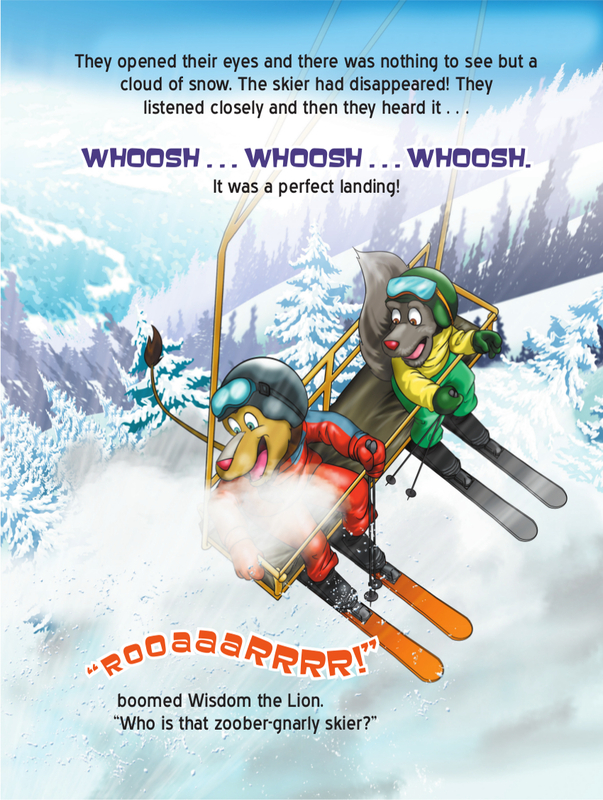 When the X-tails find out Wisdom the Lion is taking them skiing at Spider Ridge, they’re shaking in their ski boots. Not only does Spider Ridge have heaps of snow and zoober-sweet jumps, it has the hairiest ski run in the world—the Tarantula! There’s no way Wisdom and his friends will go near the Tarantula. 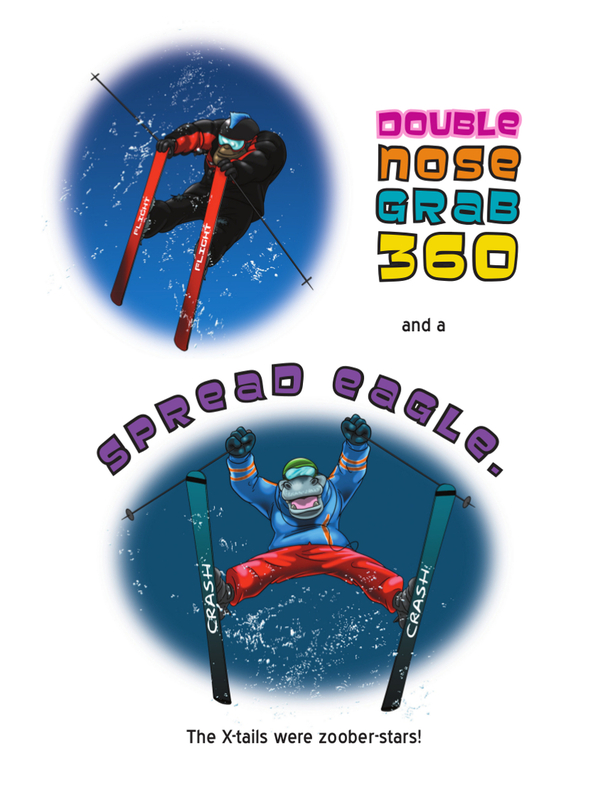 And when they see someone skiing it on a sit-ski, they can’t believe their eyes! 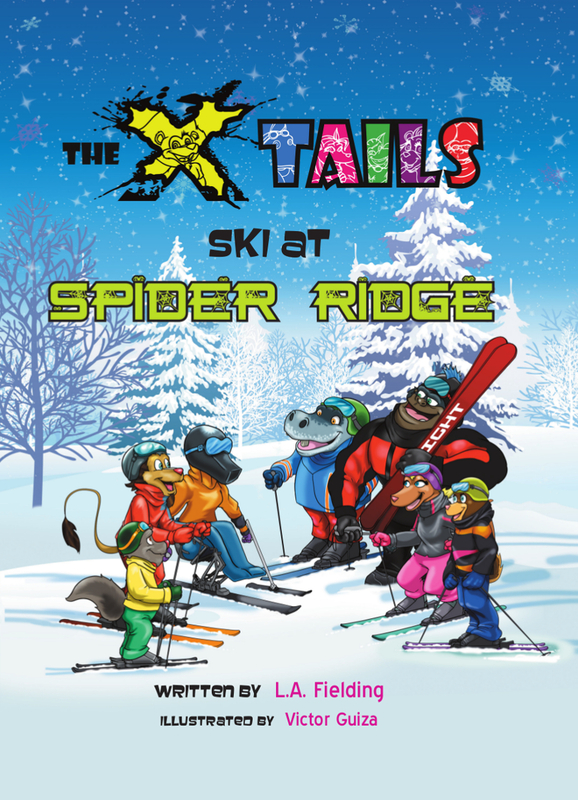 For every copy sold of The X-tails Ski at Spider Ridge, 50% of my royalties are donated for kids with physical disabilities and mobility limitations, which will provide opportunities to use sports wheelchairs and other recreational equipment. If you would you like to help or would like to learn about my first donation, click here. Yikes! 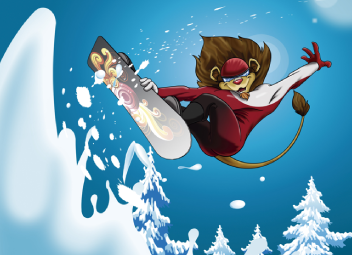 When the X-tails find out Wisdom the Lion is taking them skiing at Spider Ridge, they’re shaking in their ski boots. 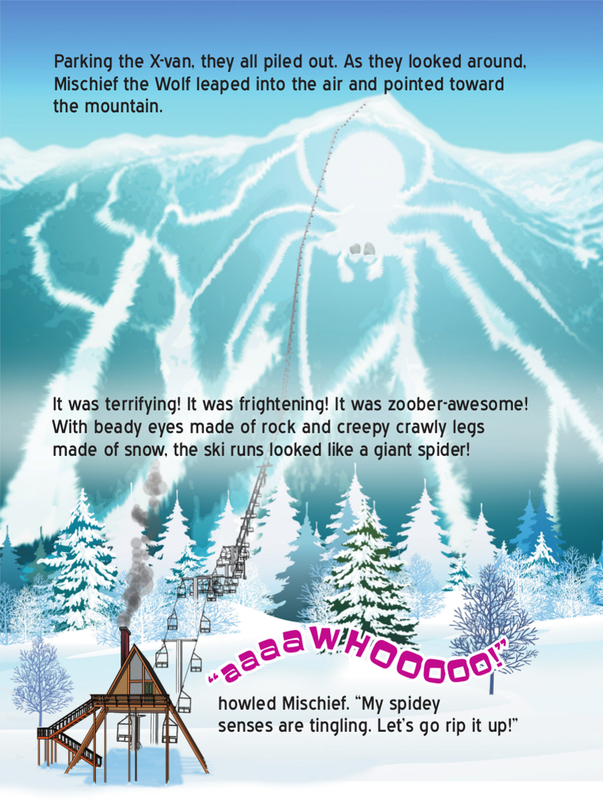 Not only does Spider Ridge have heaps of snow and zoober-sweet jumps, it has the hairiest ski run in the world—the Tarantula! There’s no way Wisdom and his friends will go near the Tarantula. 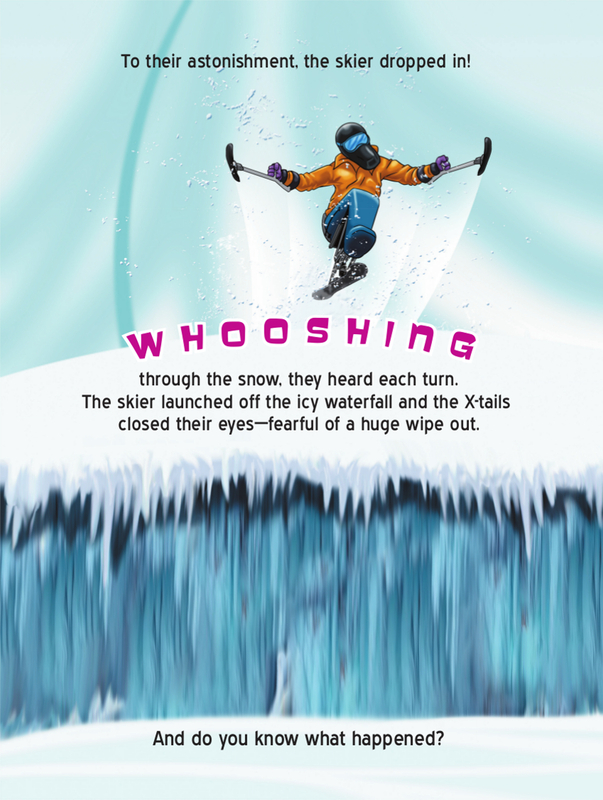 And when they see someone skiing it on a sit-ski, they can’t believe their eyes! After meeting this daring skier, can the X-tails be convinced to do something more hairy than the Tarantula?